This year YPAC’S summer program consisted of 3 taster sessions,giving the young people a chance to engage with professional artists. We started with a Drama Workshop led by Kate Bradnam which consisted of drama games & ending in creating a small scene giving all the young people a chance to perform and show off their acting skills, which they all did and loved!. Our next taster focused on multi sports primarily – dodgeball with Rahoul. The young people really engaged with the dodgeball as it’s a sport they often play in school. 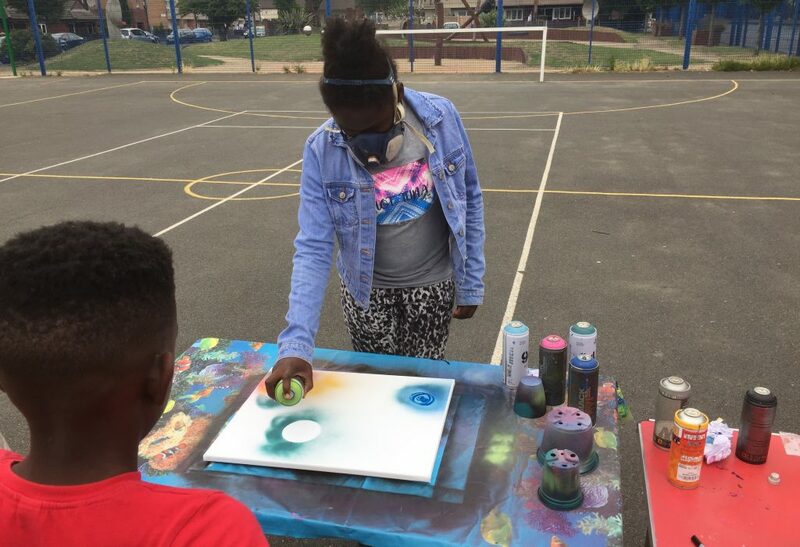 Finally, we finished our summer program with a spray painting workshop led by Dan Birkbeck, in this workshop the young people got the chance to use spray paints, creating an effective space picture that everyone got to take home. The great part of this workshop was you didn’t need to be experienced or great artist to produce an excellent piece of work. Dan organised the workshop so everyone at any level could engage and enjoy the workshop. 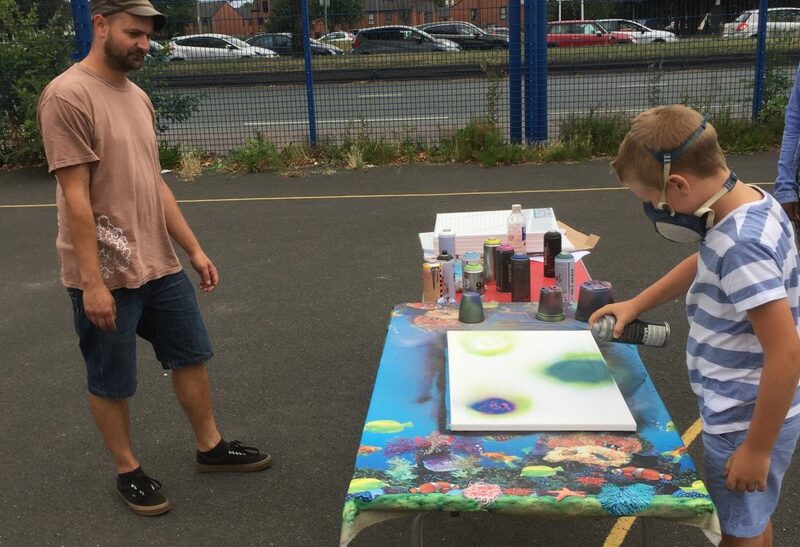 It’s been a great summer giving the young people a chance to experience different arts & sports workshops. The feedback from the young people is they would like to develop a drama piece with Kate, have Rahoul come back and play more dodgeball & get Dan back in every week to develop a urban arts piece.